Let me start by saying there are MANY causes of knee pain and this article will NOT address all of them. However, this article will talk about a VERY common finding that often translates into anterior (front) knee pain, lateral (outside) knee pain, and even medial (inside) knee pain. If you take only one thing away from this article, this should be it…many causes of knee pain have NOTHING to do with the knee at all. I am tired of seeing therapists (of all disciplines) treating knee pain with ice, ultrasound, rest and mini squats wile squeezing a ball between the knees to train the VMO (inner quad muscle). Those treatments directed at the knee do nothing for the CAUSE of the problem and are only treating the symptoms…which will yield less then stellar results for the patient. Current research is leading to the conclusion many of the overuse (running etc) conditions of the knee are not conditions of the knee at all. 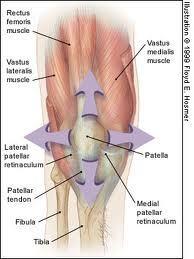 Many types of knee pain may be related to poor stability at the hip, but present as knee pain. The analogy frequently used to describe why this occurs is the rope analogy: If I put a noose loosely around your neck, stood in front of you and pulled on it, you would tell me that the back of your neck hurt, if I stopped pulling, the neck pain would disappear. Nothing was ever really wrong with your neck –the neck was simply the endpoint at which you felt the pain….same goes for the knee! Soooo who cares about gluts this and gluts that?…I want to know about KNEE PAIN! I venture a guess some of you maybe saying that, but those silly gluts have everything to do with knee pain. Unfortunately, our population is dominated by sagital plane strength (we do everything in the forward and backwards position) and weakness in the frontal and transverse plans (side to side and turning motions)….in other words, we are typically strong when we bring our knee to our chest (sagital plane), and weak when we bring ours legs out to the side (frontal plane)…which is the job of those damn gluts! Even more unfortunate is the fact that exercise outside the sagital place are often neglected in rehabilitation and strength training programs (2). This creates a problem because we don’t train those oh so important glut muscles that control our hips and therefore control how our knees move. LONG story short: when we have weak gluts we tend to place our knees in very stressful positions when running, walking, jumping, and weight training (squats!). This valgus stress places excessive force on certain parts of the knee causing what is commonly called patellofemoral pain syndrome (PFPS). This leads to the pain that is felt in the knees after a long run, playing a game of basketball, or skating in hockey. Therefore, training the gluts to align the hips and keep the knees in a more optimal position during single leg activities will SIGNIFINTLY reduce the incidence of knee pain..and keep the pain away!! (who needs Advil or Tylenol when all you need is some specific rehab directed at key muscles to end pain?) Research also shows that strengthening these hip muscles can actually reduce the likelihood of athletes tearing the ACL of the knees…..the hip muscles are IMPORTANT! 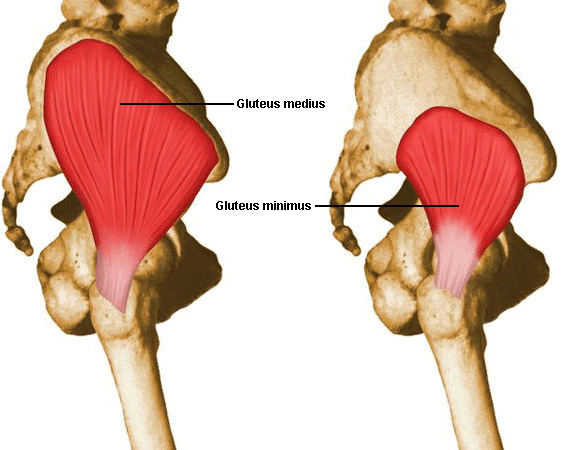 If you want me to write another piece on HOW TO train these hip muscles please comment on this article! ANY questions, comments, criticisms are more then welcome.